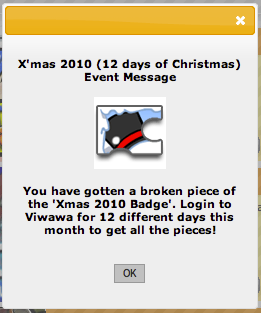 For the month of Dec 2010, you will receive 12 different pieces of a X'mas 2010 Badge for 12 different days that you log in! We're all excited to see what the final image is. Check your profile page to see how many pieces you would get with everyday of logging in!